Premiere Friday Best Case/Worst Case: MacGyver, The Exorcist and more! In a Nutshell: It's been a few years since CBS' last new Friday drama, but the eye is hoping its MacGyver revival will be a good match with old-skewing Friday mainstays Hawaii Five-0 and Blue Bloods. The bar has been set high in this timeslot by strong reality performers The Amazing Race and Undercover Boss, but CBS will leave both on the bench at the start of this season. Best Case: CBS had a pretty good thing going with reality shows in the 8/7c hour, and they wouldn't have broken that up for just anything. CBS is shrewdly connecting this show with Hawaii Five-0 in its promos, and the action-oriented dramas are an extremely compatible pairing. It starts quite well and ends up matching Five-0 on a regular basis. 1.13. Worst Case: If CBS really had faith, it would've gone to Sunday and taken advantage of the NFL help. 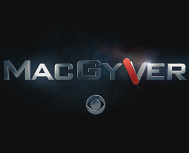 Nobody in the 18-49 demo cares about the MacGyver brand name, and those who do will find this fairly unfaithful to what made that show what it was. It's DOA from the jump and pulled for one of last year's occupants by November. 0.55. Likeliest: I'm sort of torn on how CBS really feels about this; I've seen a lot more promotion than expected, but it still seems like the network could've done better by it timeslot-wise if they really believed. I expect it to have a slightly hopeful start (at least from the pundits who expect nothing to drop post-premiere), but soon become a weaker option than Five-0 as well as all the year-ago occupants. I see it getting some kind of small extension, sort of like A Gifted Man from a few years back, just so the network doesn't have to use multiple replacements to get through the season in the hour. Amazing Race or Undercover Boss fills in starting in February, and MacGyver is one-and-done. 0.82. 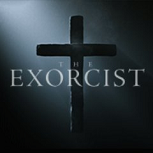 In a Nutshell: Fox's second film-series-to-TV-series drama premiere of the week is The Exorcist, which will air after Hell's Kitchen. Best Case: Grimm is on its way out later this season, and America is ready for another scary Friday night sleeper success! It also really helps that Exorcist won't have to face Grimm in the early weeks.) It grows huge on its Hell's Kitchen lead-in out of the gate, and is actually competitive with the leaders at 9/8c for much of the fall. Ends up with about the same Plus as the peak seasons of Grimm and Five-0 in this hour. 1.03. Worst Case: Fox is just taking a flier with this so they can get the perception of actually trying on Friday night, but they saddled it on a rough night with a lead-in that is both incompatible and not as big as it could've been. (Although maybe the stronger MasterChef Junior would've been even less compatible!) It takes a Wicked City-esque track, but Fox leaves it on the air a lot longer and allows its average to drop south of 0.5. 0.44. Likeliest: This is pretty unscientific/anecdotal, but I have heard very little about this show, either buzz-wise or promo-wise. Maybe that's just my bubble, but guessing it's not a good sign. Fox has a funny way of burying its more promising shows on this night, while accepting awful results on weeknights, so maybe they are sneakily planting a promising seed here yet again. But... I'm guessing not. It does better than the Second Chance burn-off, but not as "well" as the Sleepy Hollow run from last winter. It starts south of 1.0 and doesn't make it to 2017. 0.60. Dr. Ken (1.11 A18-49, 76 A18-49+ last year): Dr. Ken finally broke the post-Last Man Standing curse last season, and got the timeslot back for 2016-17. It seemed to weaken a bit from the fall to the second half of the season, so it will have some declines in the fall. It also feels like the LMS lead-in is about done growing in Plus, based on how the last half of last season went. But it should still be pretty close to even, and so will Ken beyond the first few weeks. Likeliest: 0.90.